2. The Tanzania Electric Supply Company Limited has set aside funds for its operation during the financial year 2018/19 It is intended that part of the proceeds of the fund will be used to cover eligible payment to contractors under the contract for which this invitation for quotation is issued. 3. You are hereby invited to submit your price quotation for executing the works as described in the Bills of Quantities (BoQs) as shown in Section VI as follows: LOT NO.1 TABORA REGION, LOT NO. 2 KIGOMA REGION AND LOT NO. 3 KATAVI REGION. Valid and Registered CRB Contractors in class Six to Class three are eligible for this tender. 4. All quotations in one original plus three copies, properly filled in, and enclosed in plain envelopes marked Quotation No: PA/001/2018-19/WZN/W/02 REPAIR, EXTENSION AND RENOVATION OF VARIOUS CIVIL WORKS AT WEST ZONE REGIONS, Bidder are free to apply for any lot but will be awarded maximum of one lots. 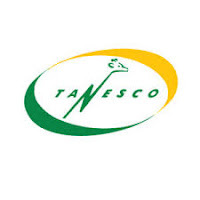 Bid documents must be delivered to the SECRETARY, TANESCO ZONAL TENDER BOARD, and P.O. BOX 03 TABORA to reach TANESCO Zonal Office, located along Station Road EX UFUNDI OFFICE TANESCO TABORA not later than 15th November, 2018 at 14.30hrs local time. 6. Late quotations, portion of quotations, electronic quotations, and quotations not received, quotations not opened at the quotation opening ceremony shall not be accepted for evaluation irrespective of the circumstances.